Since the wildly successful launch of the “cool girl” skincare and makeup brand in 2014, Glossier has continued to revolutionize the beauty industry, from its glamorous NYC-based showroom to its rapid Instagram following of more than a million followers. A cult favorite among millennials worldwide, Glossier consistently rolls out unique marketing tactics, connecting their devoted audience and carefully curated product line in fresh, interactive ways. The latest unveiling? A month-long pop-up shop at Rhea’s Café in San Francisco. 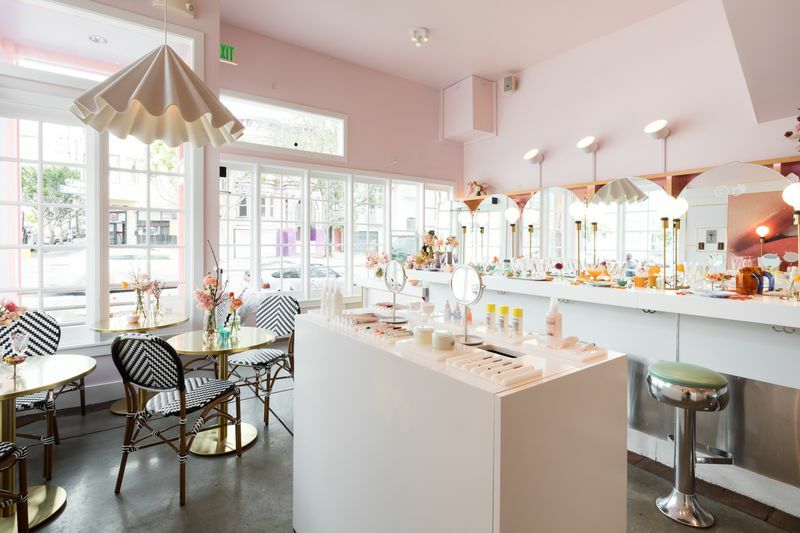 The brunch-turned-shopping trip creates an experience where Glossier’s customers can enjoy trendy local grub (fried chicken, anyone?) and stock up on their favorite products in one fell swoop – but not without snapping an aesthetically pleasing Instagram photo of the cafe’s hip exterior along the way. The digital direct-to-consumer company has worked with food-focused brands in the past, with partnerships from the likes of Morgenstern’s Ice Cream to Momofuku Milk Bar, but their current collaboration with Rhea’s brings something new to the table, literally and figuratively. The utilization of their growing social presence, experiential marketing tactics and creative collaborations with other retailers continues to set them apart. Learn more here.